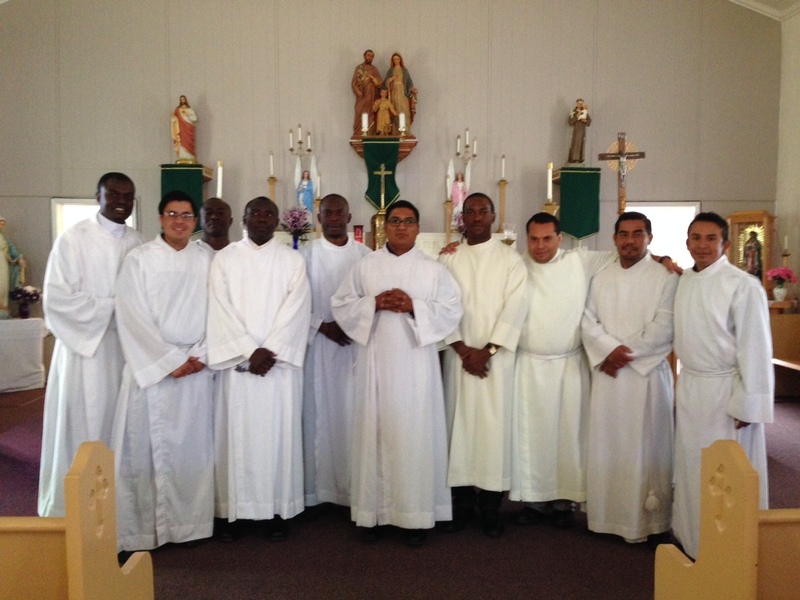 The Sangre de Cristo Parish is hosting 13 seminarians for a one year novitiate program. The Novitiate Year is an intense year of prayer and discernment in which seminarians are removed from the distractions and hectic pace of full-time work or study so that they can focus on deepening their prayer life. Our novitiates are Kevin Chinonye Okafor, Miguel Enrique Alvarado, Hector del Rio Pina, Mbata Peter Igbang, Octavio Serrano Estrada, Orlando Fabricio Quiroz Bustos, Victor Mendez Cano, David Arroyo Alonso, Okpalaobi Justin Chimezie, Okwudiba Martin Okwukwe, Julian Kenechukwu, Mariano Pacheco Marin and Juan Miguel Tavares.